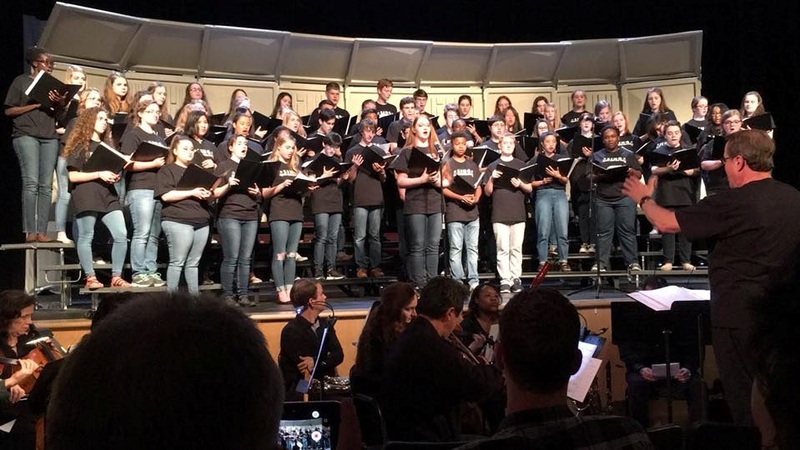 The Augusta Youth Chorale is an auditioned choir for teens (ages 13-19) in the greater Augusta area of Georgia and South Carolina. Organized as a non-profit 501 (c)(3) in 2009, the AYC is beginning their tenth season. If you are between the ages of 13 and 19, we’d like you to consider joining us. Click on the “Auditions” link above to start the process. Honored as the featured choir for the 2012 Nation’s Capital Festival of Youth Choirs at the National Cathedral, the AYC is proud to represent our region in local performances and an annual tour. Recent tours were in June 2016 to New Orleans, LA, June 2017 to Frankenmuth, MI, and June 2018 to Atlanta, GA.